Some 22,000 New Hampshire residents who previously had been uninsured now have health insurance, and as a result the number of people in the state without coverage has dropped by 14 percent in the first five months of the year. That’s according to a study conducted by Wakely Consulting Group and released by the New Hampshire Insurance Department. Behind that net number (which counts only those who paid their premiums by May 1) appears to be a major shift from the group to the individual market. According to the study, the individual market in New Hampshire grew by 75 percent, or 26,000 people, with more than 40,000 signing up for coverage through the marketplace by May 1. Medicaid enrollment rose by 9,000 (an 8 percent increase) – an increase that occurred before Medicaid expansion took effect in the Granite State. The increase was attributed to a rise in the number of people who were informed they were eligible for Medicaid when trying to enroll under the ACA. According to the study, declines were seen in the group market, including a drop of 11,700 individuals covered by employers of all sizes in the state. The changes include people who shifted between different types of coverage, which means they didn’t necessarily lose coverage, according to the Insurance Department. The biggest decline was in the small employer market (50 employees or fewer), which decreased by 9 percent, or 7,000 covered lives. There also was a 1 percent drop in the self-insured market. Some of that change could have been due to the fact that self-employed businesspeople previously covered under the small group market could only be covered under the individual market in 2014. But it also could be because some businesses dropped coverage under the new ACA requirements or because employees who paid for their own insurance found a better deal in an exchange plan. Other businesses also may have sent their employees to the marketplace rather than offer coverage. The study also found that prices in the small group market rose by 3 percent and were more expensive on average than individual exchange plans even before subsidies. But it found that group plans were generally richer (lower deductibles, more and wider coverage) than those sold on the exchange. The net 22,000 gain of those covered matches previous projections before the ACA was instituted, but it does fall short of expectations in a previous report issued by the state in 2012, although that report had a December 2014 target date. Anthem, which this year was the only health insurer on the exchange, got the biggest boost, now has 92 percent of the individual market. 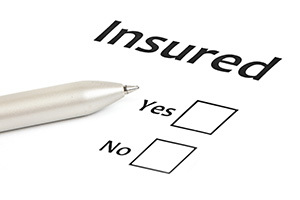 But the insurer lost coverage in the group market and now has a 59 percent share overall. Harvard Pilgrim Health Care increased its share to 31 percent, and Cigna was third with a 5 percent share.